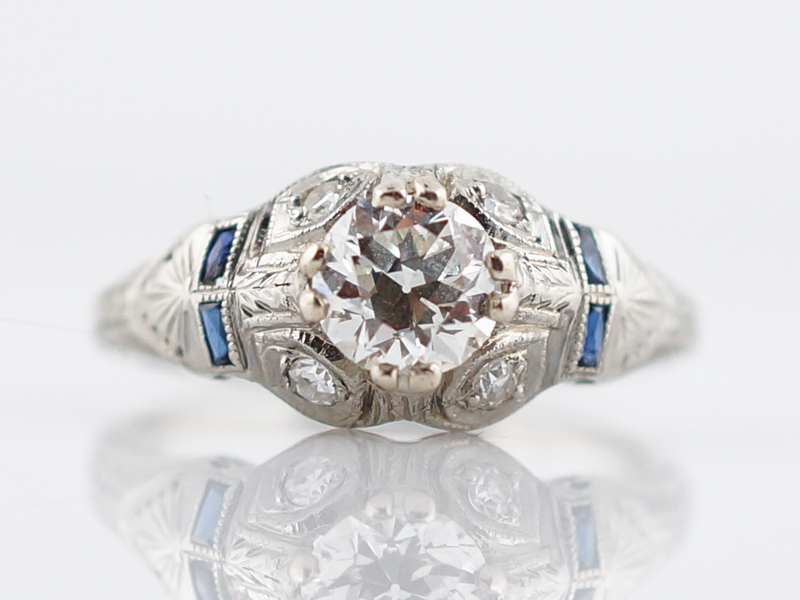 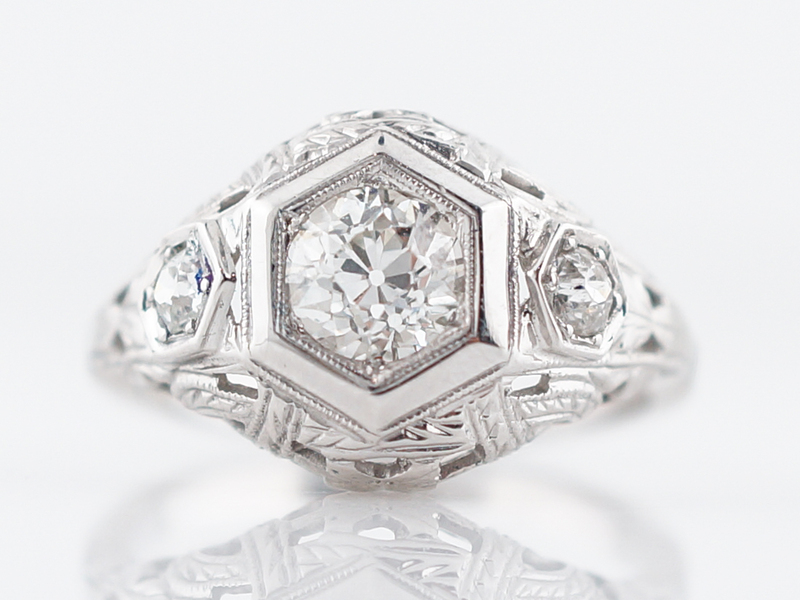 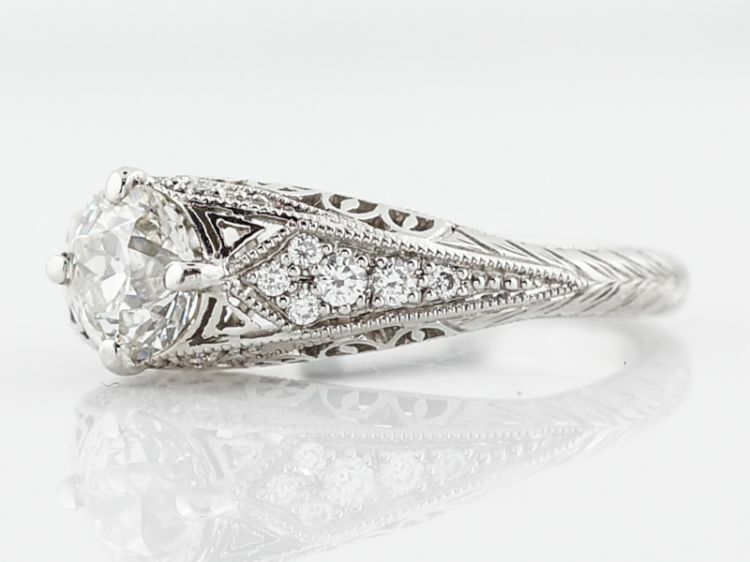 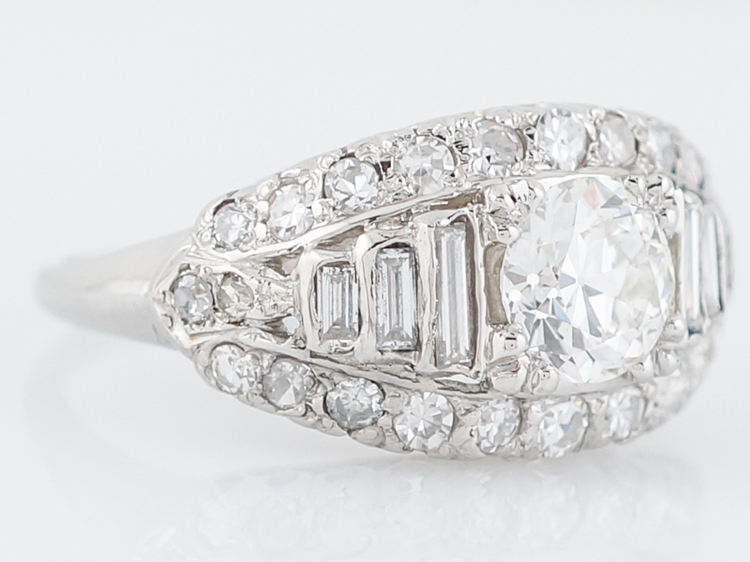 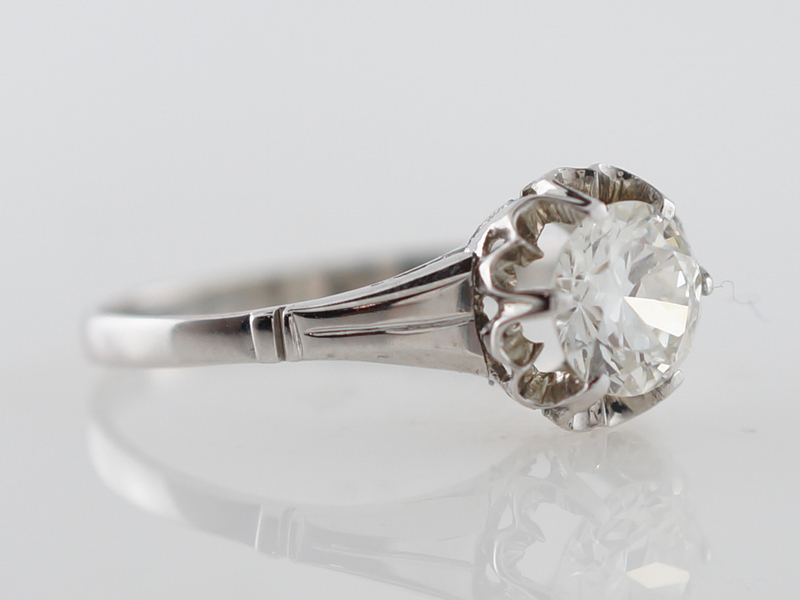 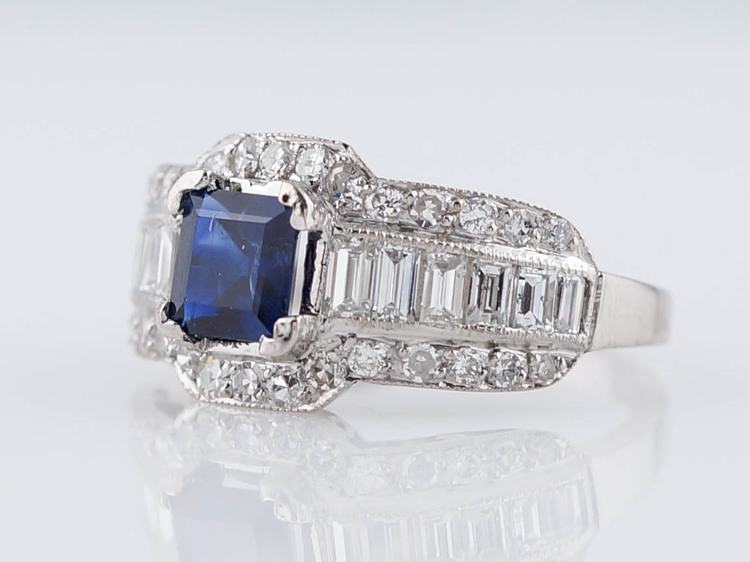 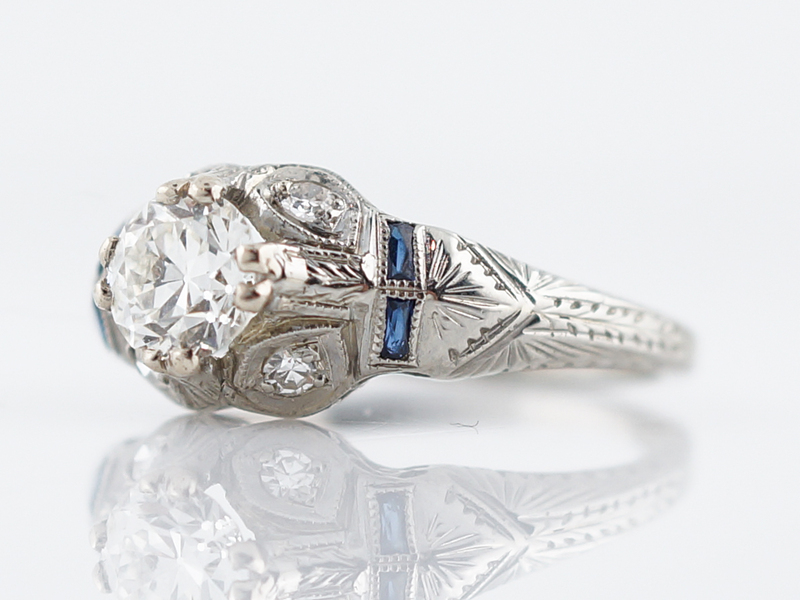 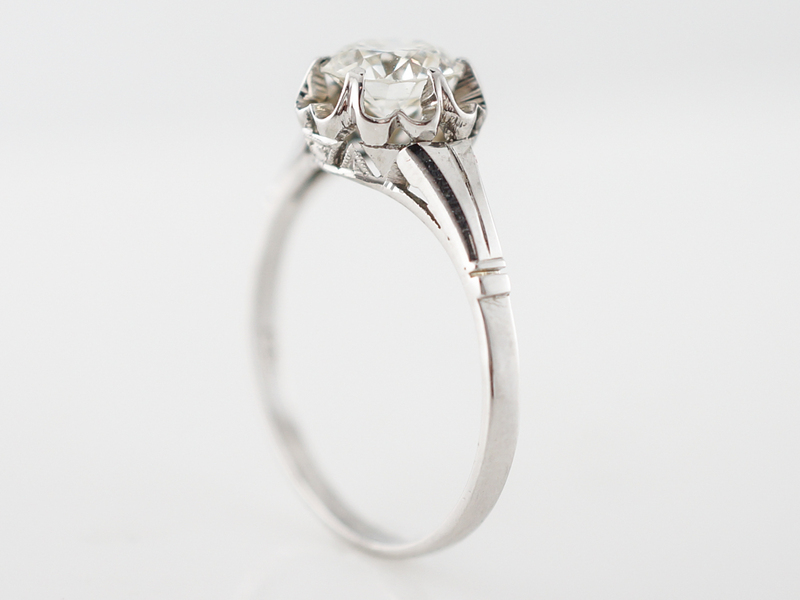 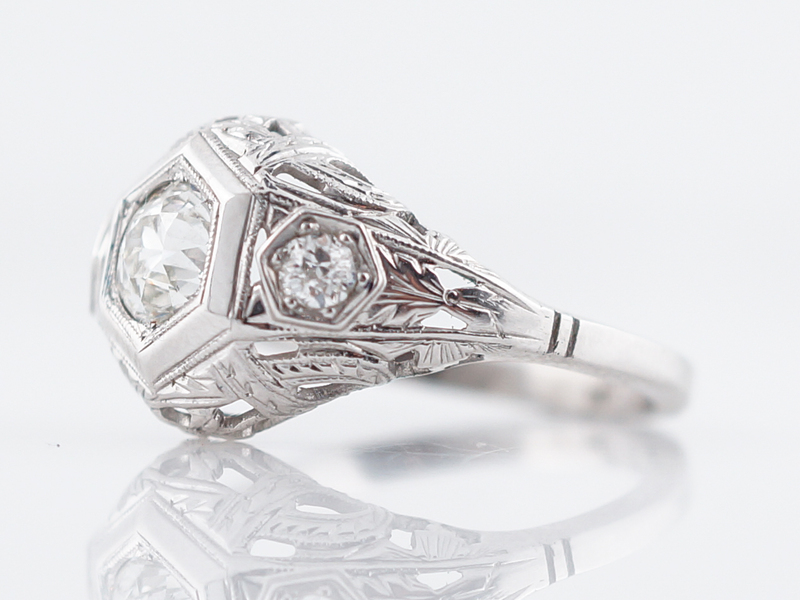 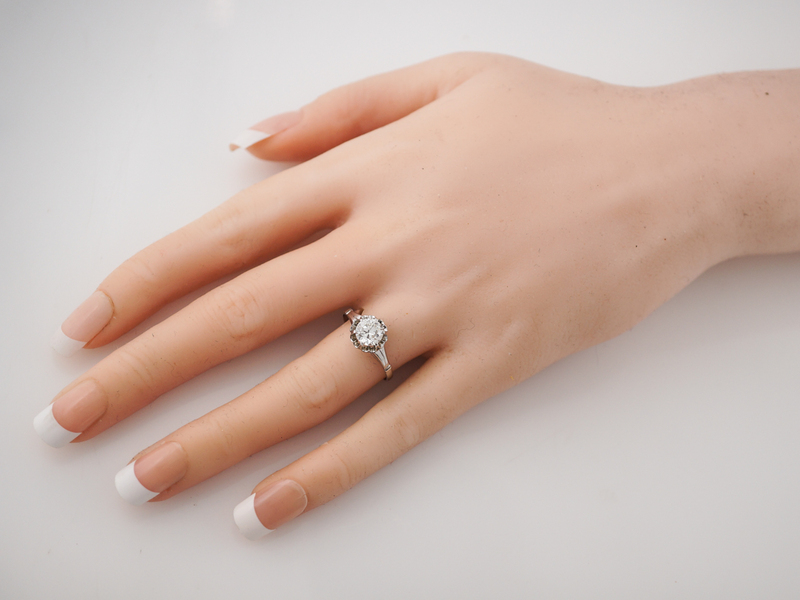 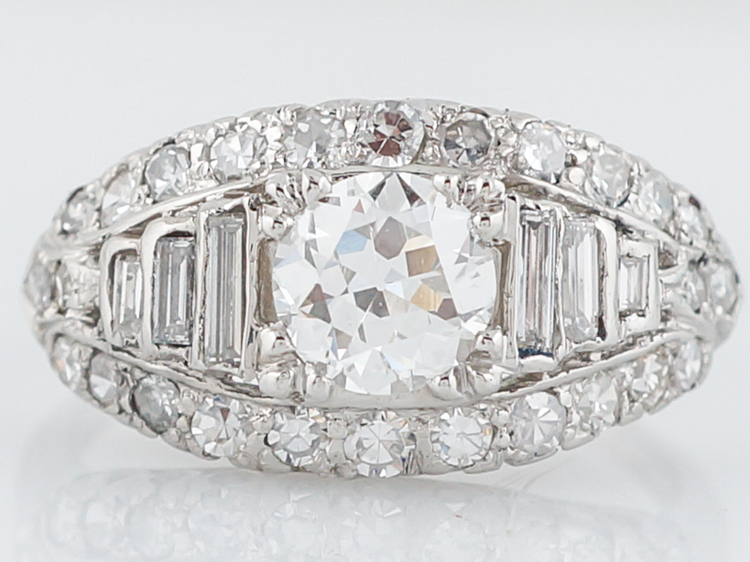 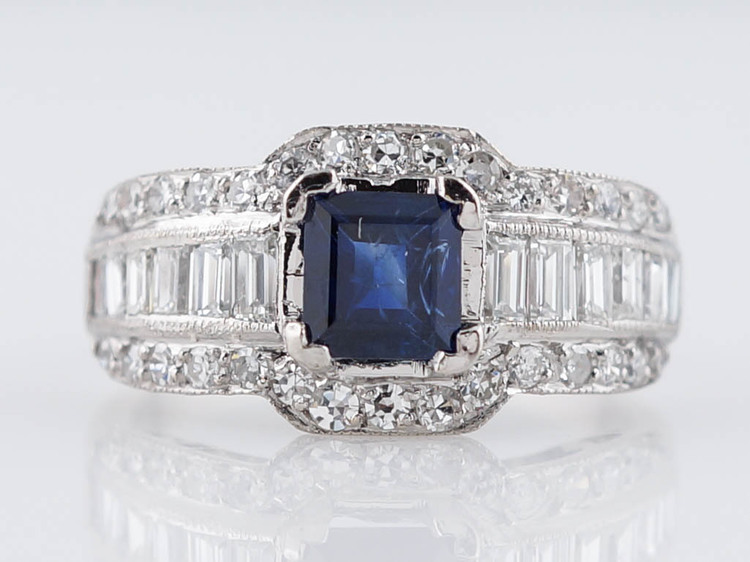 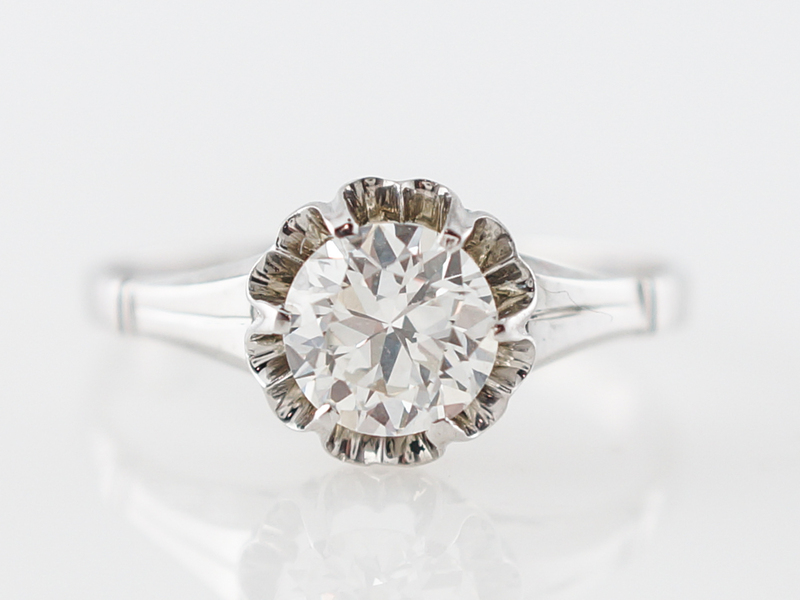 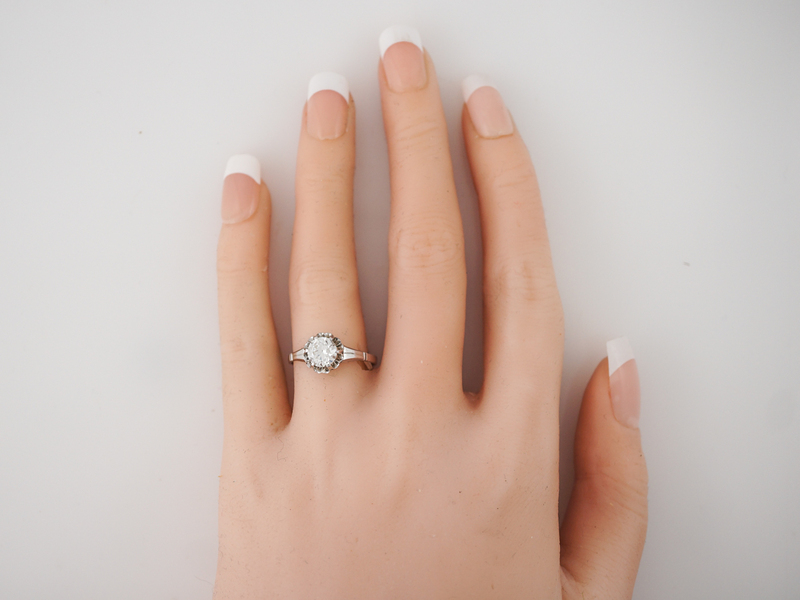 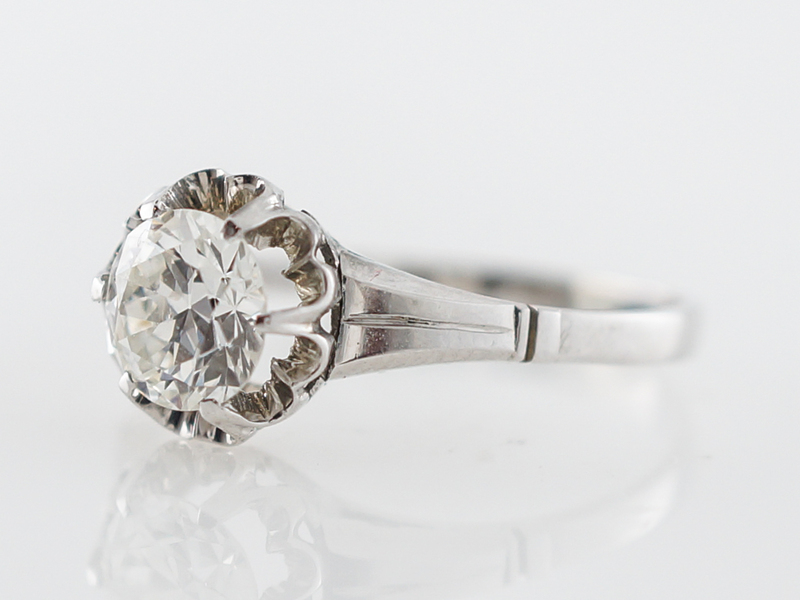 This original vintage art deco engagement ring features a gorgeous .84 carat old European cut diamond. 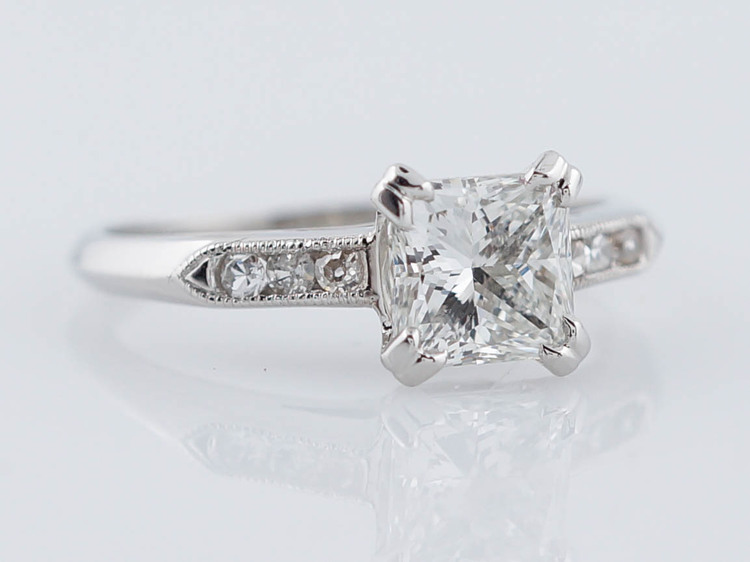 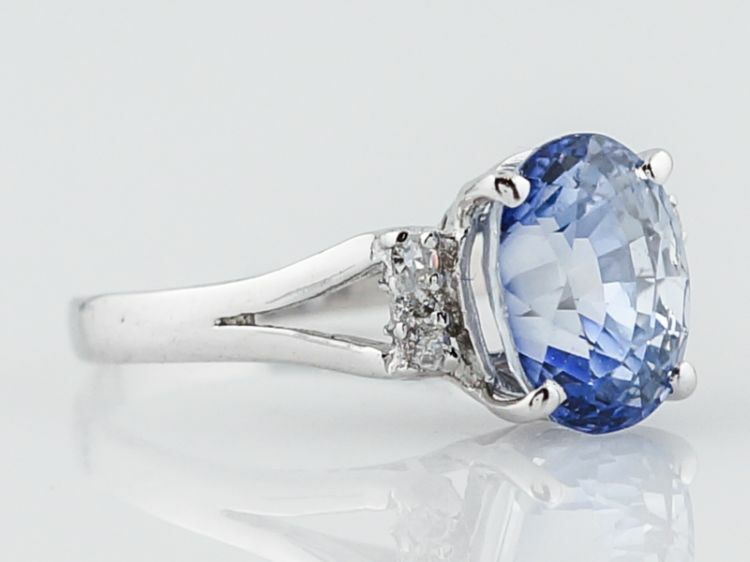 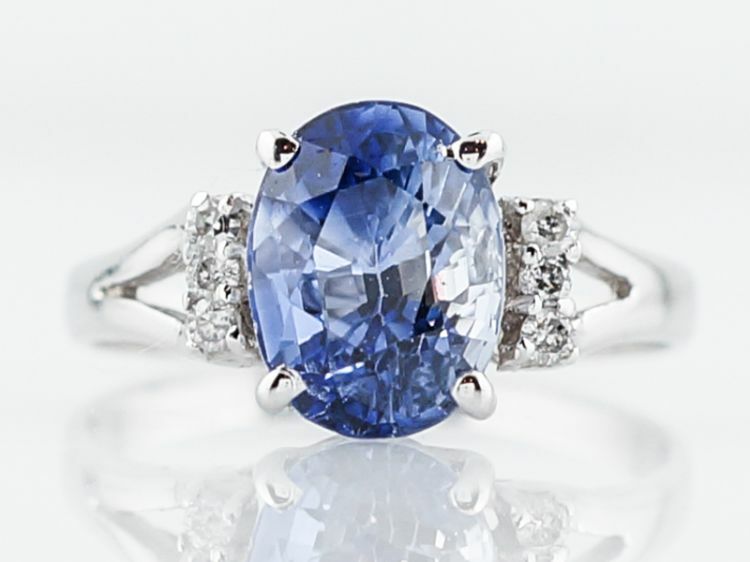 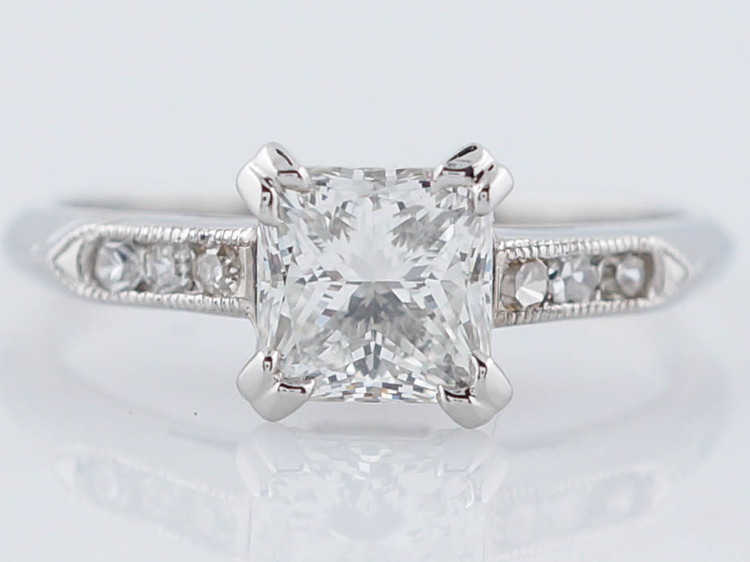 The center diamond is set in a crown basket, allowing for maximum view of the stone and it’s full brilliance. 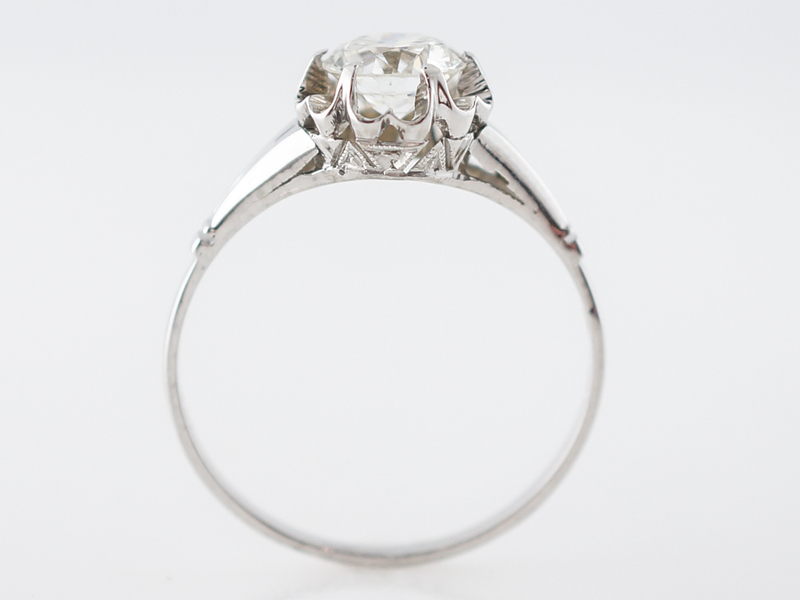 The shoulders of the ring have a lovely minimalist design not often seen in the period. 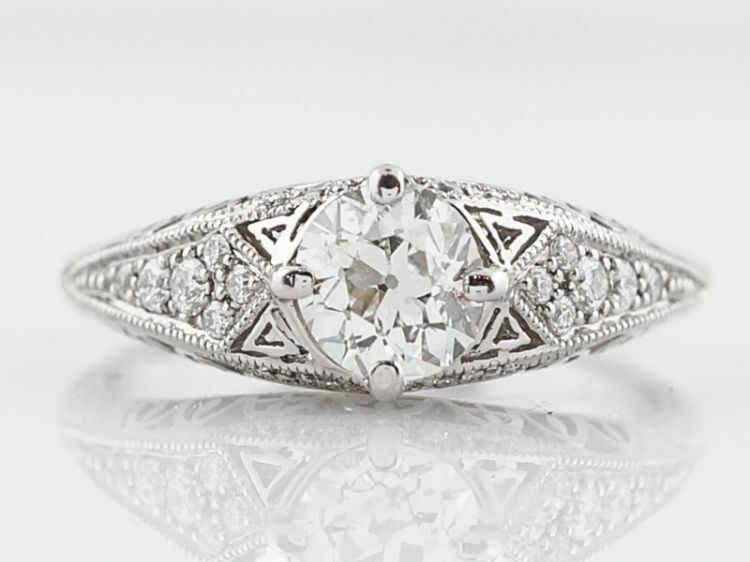 Finished in 18k white gold, this stunning ring is both unique and beautiful!